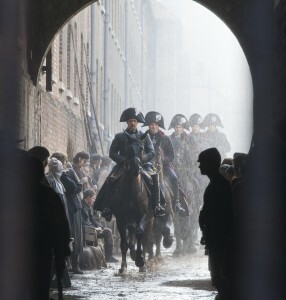 Russell popped into Chatham Dockyard a couple of years ago to ride around on his horse for Les Mis. With all of the crime solving he has to do, we’re not sure where Sherlock gets the time to maintain his six pack but here is a pic for those that appreciate one. Jeremy Piven (AKA Ari Gold) and the gang spent time in Medway filming Mr Selfridge. The period drama which features an unusual amount of intense stares was partly filmed in Medway. Team Acorah brought their presence to Medway for Most Haunted. Check the video above for the results. We’re going to buy Derek some trousers. Some say he is a small but we think he is a medium.